Improve your change management skills with these strategies. 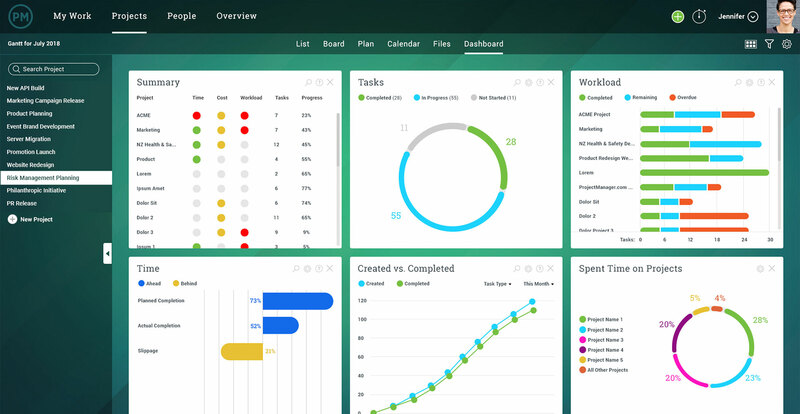 ProjectManager.com has the tools you need to plan, execute and track changes in your projects and your organization. Change management is an umbrella term that covers all types of processes implemented to prepare and support organizational change. These range from methodologies applied to resources, business processes, budget allocations and other operational aspects of a project. Change management in the context of project management often refers to a change control process when working on a project. That is, the process of changes in scope to a project are formally introduced and approved as a change management system. One thing is certain: change is going to happen. It’s an inevitable fact of any team or project and, therefore, an aspect of any project that must be planned for. To best plan and respond to change, first a clear definition of change management must be understood. To first wrap your head around change management models, it’s important to distinguish change as occurring in three distinct categories. By breaking the large subject of change into small subsets of change it immediately becomes more manageable. Individual Change Management: People are the root of all change. You can change systems and procedures, but if you don’t address the human in the room, then you’re not changing anything. To get people to change, you must know your subject. What do they need to hear to become open to change? How and when should training be offered to help them with the transition? The tools of this trade are psychological; even neuroscience can help with finding the right angle to steer a person from one behavior to another more productive one. Organizational Change Management: While the people on your team are the core target to effect change, there are also larger, more organizational issues you must address if you want to create real change in a project. To do so requires first identifying the groups that require change and how they must change. Then, create a plan that addresses these components of the project, which includes making everyone aware of the change, leading that change through coaching or some other method like training, and then driving that change in congress with the management of the whole project. Enterprise Change Management: Taking a step up from the organizational change is to address the entire enterprise. It’s basically taking change management writ large to encompass all aspects of an organization, meaning roles, structure, process, projects, leadership, etc. By approaching change on the macro-level you’re more likely to implement change on the micro-level, as a strategic engagement with change has been applied to the very workings of the organization. It creates a nimbler organization, able to stay flexible and adapt quickly to changes as they occur. Another way to understand change management on projects is through the triple constraint. The triple constraint is what is referred to as the process of managing scope, budget and quality on a project to bring it in successfully. Simply put, that means completing your project on time, within budget and to the standards assigned by its stakeholders, customers or sponsors. Change management, therefore, is the process of controlling the triple constraint on your project whenever changes are introduced to your project management plan. In that document you detailed the time management, scope management, budget, quality, risk, issues and other plans, all of which influence your change management plan. Part of change management is then monitoring the triple constraint and being able to quickly identify when there are anomalies. When there are changes, you must have a plan in place to not only identify them but have a point person in charge of following through on resolving the issue before it becomes a problem that can threaten the project. To keep track of the triple constraint you must have an integrated change control throughout the project. That includes a process of reviewing, analyzing and approving change requests as they come in. These must be handled quickly. If they are not attended to immediately there is likely going to be an impact on the project that can send it off-track. When managing the triple constraint, you’re reviewing, analyzing and approving to maintain the baseline of your project. That doesn’t mean the baseline doesn’t change. In fact, sometimes it’s critical that you re-baseline the project. When changes are approved formally through the change control board, you have the authority to do this. Finally, with the triple constraint, as changes occur, you need to coordinate them across the project, as they might impact other teams or vendors or different parts of the organization. Therefore, it’s also crucial to formally document the changes every step of the way. This creates an historical record that can help when future projects experience similar events. That’s a simple way to track the full process. Some project management software tools, however, help you manage change as a part of your project management. For example, in ProjectManager.com you can track changes right in the software. Sometimes implementing change is its own project. And when implementing change is that involved, it helps to use planning, scheduling, automation and tracking tools to keep your process moving forward. Here are some essential project management tools for successfully executing change on any level. Visually plan the steps of your change process on a Gantt chart. That way, you can quickly view the length, order and progress of tasks. When planning change, there’s often a specific order in which tasks must be completed. Use our Gantt chart software to set up dependencies between tasks, so task A always comes before task B. Convincing people around your organization that change must occur can be a lengthy process, one that sometimes involves you staking your reputation on results. Naturally, you’re going to want a way to track how efficiently your changes are being made, and whether they are having a positive impact. With our real-time dashboards, you can track the progress of your change initiative, and its impact on other projects. You can’t execute change in vacuum. You need to be able to communicate with the planners, the doers and the upper management. Use collaboration tools to leave notes on tasks, attach files, create project file folders and message team members directly. 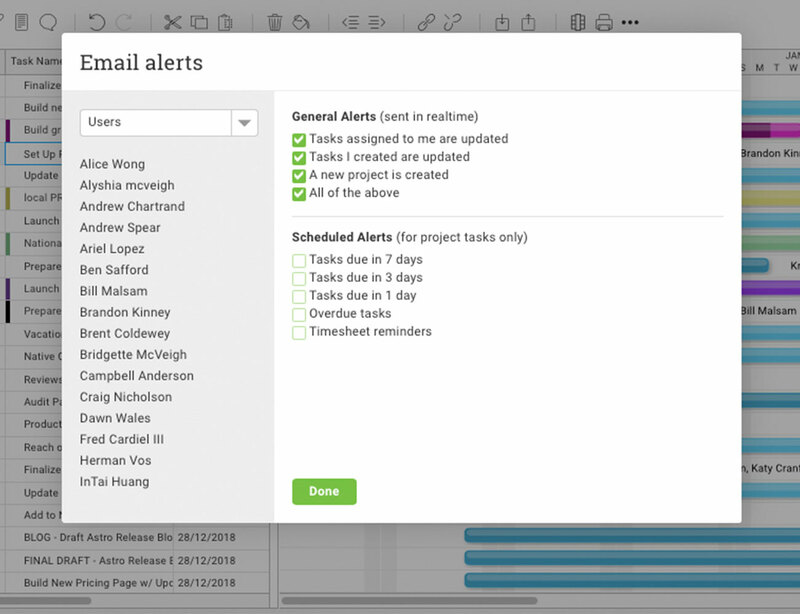 Plus, you can automate email alerts, so as soon as a major event happens, you get an email sent straight to your inbox informing you of the action. Of course, tools aren’t going to take care of everything for you. Change management requires strong leadership, driven by specific goals and results. John Kotter’s Change Leadership Process is a great blueprint for any manager trying to stir the fire of change at their organization. Dr. John P. Kotter is a professor of leadership, emeritus, at the Harvard Business School. He is known as the inventor of an eight-step process for leading change that has become instrumental in change management strategy. Anchor the Change: Finally, make sure the change sticks by embedding it in the organizational procedures, operating models and people’s day-to-day work. This change management theory is an expansion on what is the bedrock of change management. Change management stands on four pillars. They are the determination that there is a need for change, preparing and planning for that change, implementing that change and, lastly, sustaining the change. Change happens, but without the right tools to manage that change, it’s the change and not you who is directing the project. To have a strong change management process, you must have an able change management tool. 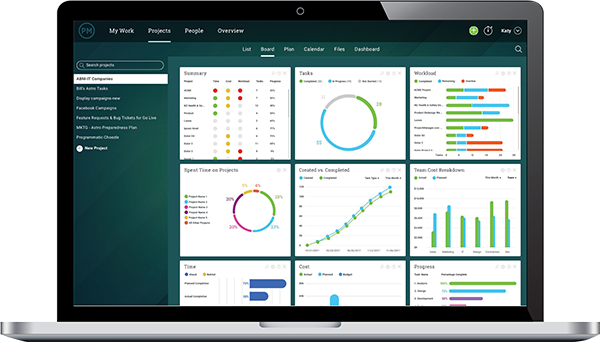 ProjectManager.com is a cloud-based project management software that gives you real-time data, so you can identify change as it’s happening. Then you have the features that you and your team require to resolve those changes. See how it can help you manage change by taking this free 30-day trial.